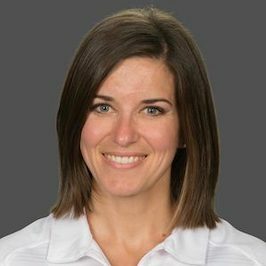 Janelle Vincent is a Registered Dietitian with a passion for sport, who strives to help athletes achieve their athletic potential by assisting them to fuel their bodies properly. She has worked with individual athletes and teams from a recreational to a national level, with most of her work currently being with university-level athletes. She received a Bachelor of Exercise and Sport Science, followed by a Bachelor of Science, Human Nutritional Sciences. To continue her education in the field of sports nutrition, she attended the Dietitians of Canada & Sports Dietitians Australia 4-day Intensive Sport Nutrition Course, completed the IOC Diploma in Sports Nutrition and also became a Board Certified Specialist in Sports Dietetics (CSSD). Her athletic drive brought Janelle to compete as a University of Manitoba Bison in Cross-Country and Track and Field. Janelle is joining the team at the Canadian Sport Centre Manitoba in September 2018; and will be working directly with the Director of Sport Dietetics, Jorie Janzen within the Integrated Support Team service environment.